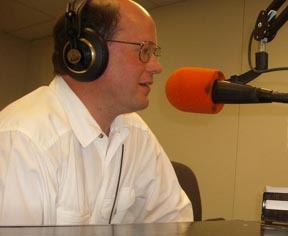 Kevin was the first caller tonight when I was on Catholic Answers Live doing the Open Forum Q & A. He asked a good question. Could the excommunicated Archbishop Milingo actually consecrate other priests as bishops? Milingo attempted to cosecrate four men as bishops. First, I will provide the passages from the Catholic Code of Canon Law (which I easily found by searching through Welcome to the Catholic Church). I was correct in my answer that by canon law a bishop much be accompanied by at least by at least two other consecrating bishops. Can. 1014 Unless the Apostolic See has granted a dispensation, the principal bishop consecrator in an episcopal consecration is to be joined by at least two consecrating bishops; it is especially appropriate, however, that all the bishops present consecrate the elect together with the bishops mentioned. Recent ordinations made without papal approval have placed Zambian Archbishop Emmanuel Milingo and the four prelates he ordained under automatic excommunication, the Vatican said. "Starting with his "attempted marriage" in 2001 until his Sept. 24 ordinations of four bishops in Washington, Archbishop Milingo's actions have led him to "a condition of irregularity and progressive breach in communion with the church," said a written statement by the Vatican press office…. "Because of the unapproved ordinations, "both Archbishop Milingo and the four ordained men are under a 'latae sententiae' excommunication, according to Canon 1382 of the Code of Canon Law," the statement said. A bishop who consecrates a bishop without a pontifical mandate and the person who receives the consecration from him automatically incur the penalty of excommunication. "The Vatican statement also said "the church does not recognize nor does it intend to recognize in the future such ordinations and all the ordinations derived from them." It also added that the canonical status of the "four presumed bishops is the same in which they found themselves before ordination" by Archbishop Milingo." Actually I look forward to joining Jerry Usher on the show tonight and helping to promote and explain the Catholic faith. For more information, or to listen to the show on Real Audio or Podcast, click here. 1) Can an excommunicated Bishop actually consecrate other bishops? (blogged my answer) 2) Is a vasectomy equally sinful with an abortion? 3) What happens to the body and soul after death and on the final judgment? 4) If we are in the state of grace when we die or when Christ returns, do we still go to Purgatory–what is Purgatory? 5) How should I relate to my 84 year old mother who is moving away from the faith? 6) How can I explain to a Protestant that we can pray to saints? how do I explain the importance of the Rosary? 7) Can people of other religions or no religion get to heaven (CCC 847)? Our son-in-law Ben Brown just returned home from defending his PhD dissertation at Catholic University in Washington DC. He came out with flying colors and a bottle of champagne. He is now Dr. Benjamin Brown, with a PhD in Theology. We are VERY proud of him!